“These are firm deadlines, not aspirational goals,” the judge said. Lee Gelernt, ACLU deputy director of the Immigrants’ Rights Project, said outside court in San Diego that he expected 65 children of the 102 young children to be returned to their families Tuesday. But federal authorities said the process was going slowly for a variety of reasons. 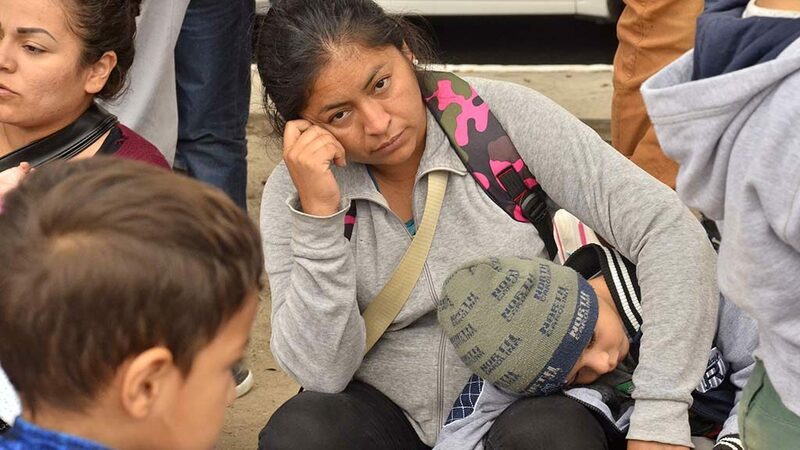 By midday, federal officials reported that only four of the 102 young children had been reunited with their families, with about 34 more likely to be returned by day’s end. In court in San Diego, Sabraw said DNA tests to determine if a child belongs to a family aren’t necessary if family members have other documentation, such as a birth certificate. “Everyone is rowing in the same direction here,” Sabraw said. Last month, Sabraw granted a preliminary injunction as part of a class- action lawsuit requiring the reunification of children separated from their families at the border under the Trump administration’s “zero-tolerance” crackdown on illegal border crossings. Gelernt said he was “extremely disappointed” that the government is not going to be able to reunite eligible families right away, but said he was “pleased” with the progress in the reunifications. The government last week asked for more time to complete the reunification because it claimed it needed more time to ensure the children’s safety and to confirm their parental relationships. “The judge has promised to stay on top of it,” Gelernt said outside court.